Scramble James is a multi-talented circus artist that has performed internationally, and domestically for the past six years. 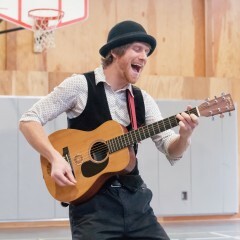 Whether you have a corporate, birthday, or community party, Scramble James is the performer for you. 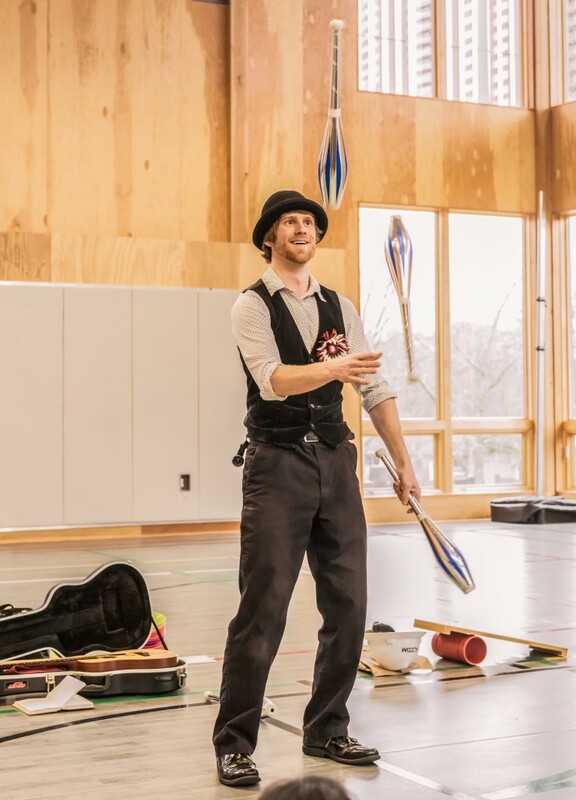 He can juggle balls, clubs, knives, torches, stilt-walk, perform magic, slackline, play music, and teach a multitude of circus arts. He specializes in fire performances and has amazed audiences with his dynamic set of skills. 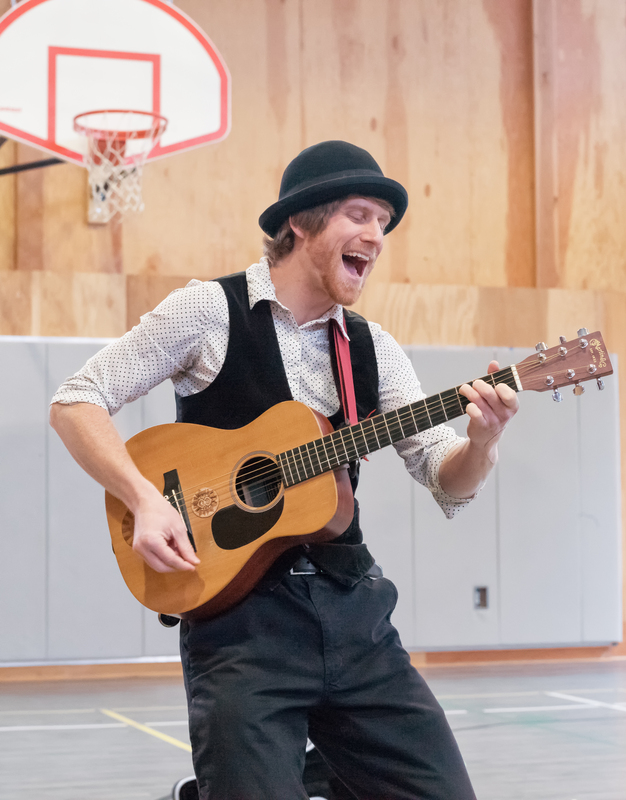 Furthermore, Scramble has a wonderful kids show in which he performs for thirty minutes, and then teaches basic circus skills to the kids for thirty minutes. 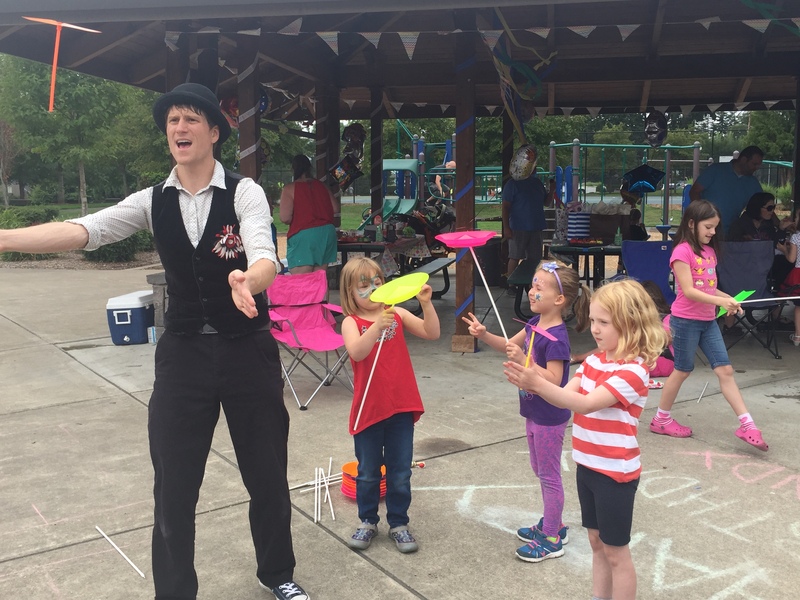 Whatever your event needs, Scramble James is the performer for you! The show was great. The kids were not disappointed. I would highly recommend him. He kept everybody entertained. 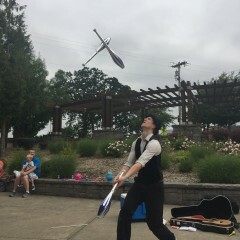 The whole show was excellent...he had magic, juggling, and music. The kids and adults had fun with his props at the end. I will definitely have him back. Thank you Claudia for inviting me to perform at your company's Christmas party! I had a blast and look forward to working with you in the future. Thank you so much for a great show!! Everyone, adults to kids enjoyed your performance. We will recommend you any time and keep you in mind for future parties. Truly Wonderful!!! Smiles all around. Scramble James did a wonderful job at my 7 year olds birthday! He show up early, was really nice and accommodating, he started on time and did an over all fun show. The kids loved him they laughed a lot. We really loved the part at the end too where the kids got to play with all the items he brought. What a treat! Thank you for a great event! Thanks again Kim! It was super fun to come to the party! 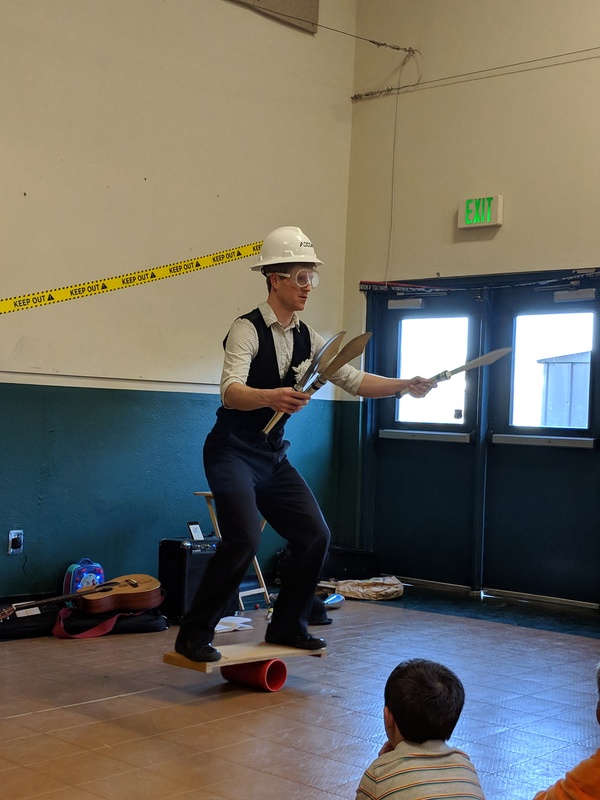 Our students really enjoyed this performance. He did a great job of tailoring the experience to college kids. I was happy with how participatory the performance was. We typically have low turnout for campus events, but we had a good crowd stick around for this performance. Thanks! Thank you Paz, it was really fun coming to perform at your college! 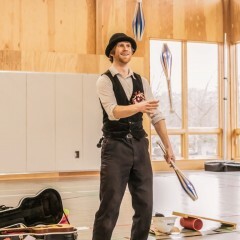 We thoroughly enjoyed Nate's juggling expertise and humor, as well as his ability to juggle while telling us the names of all his moves and the "lingo" used by jugglers to describe the different techniques. Scramble James was prompt, talented, funny, and most of all, great with kids. 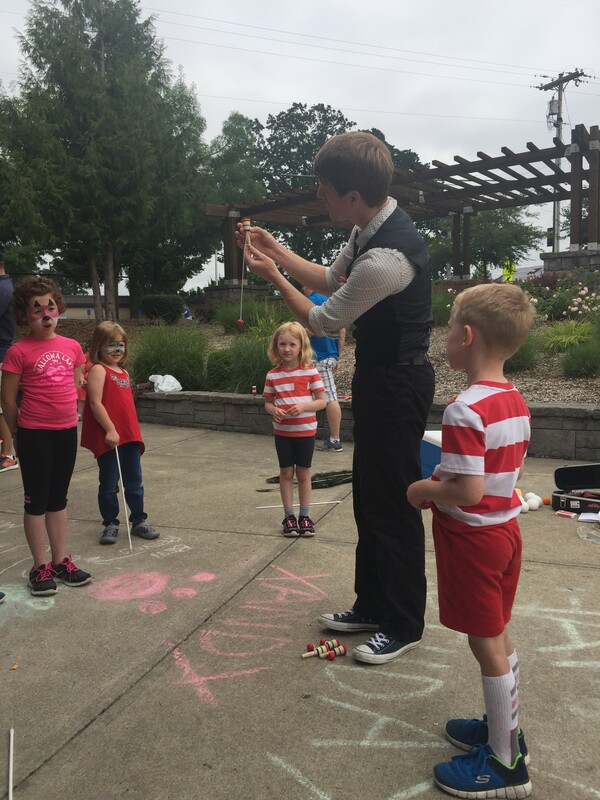 He performed for our summer camp and the kids were mesmerized by his juggling/magic/musical performance. 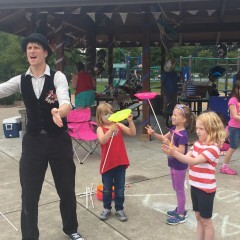 At the end, he brought out peacock feathers, plate spinners, and juggling balls for the kids to use and they loved it. We will be booking him again for future performances! Thanks Chris! I look forward to working with you again in the future! Scramble James delivered the perfect amount of thrill and fun for my son’s 10th birthday party (mixed audience ages 6 to 12). I highly recommend him!! He arrived early to set up and review party details...he was polite, personable and a total professional. After his act, the kids spent time at a variety of entertainment action stations, which he provided as part of his service. They loved it...it was a joy to see kids (even older kids) engaged and having fun. Spend your money on a live performance-it’s worth the awe, smiles and laughter of your child and their party guests. 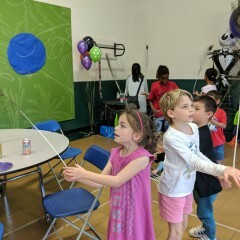 Note to consider- our party was held immediately after school in a gym with high ceilings—book SJ at a venue with higher ceilings to add to the excitement of his performance. 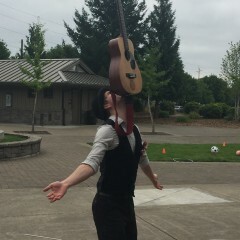 He was very good with all his tricks and juggling act. 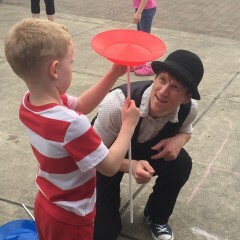 Children were completely engaged and loved to try out the tricks themselves at the end of the show. I totally recommend him. Thank you Sushil! 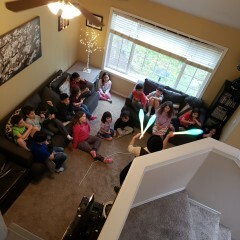 It was very fun to come and perform at your party! Thank you for all of your wonderful hospitality! Scramble Janes is a multi-talented super entertainer!! Working with Gig Salad and Scramble James was easy and Scramble James was great! Besides being multi-talented, he is engaging, upbeat, friendly, flexible, professional. and super entertaining! 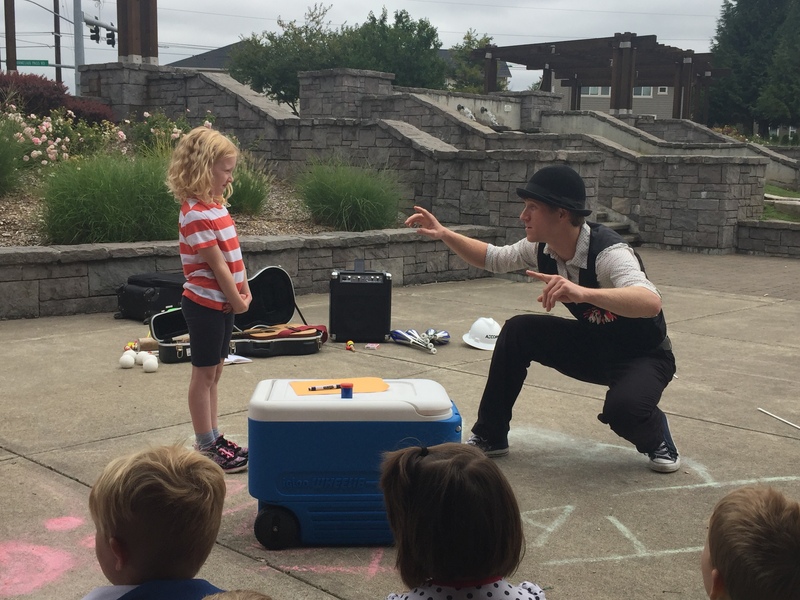 All ages enjoyed his show at our recent celebration! 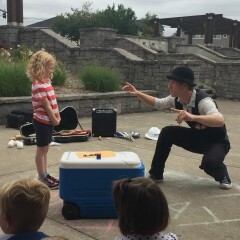 We were very happy with his fun interactive show and how easy he was to work with! We would highly recommend him! Thanks Gig Salad and Scramble James!! Thank you Julie, it was great to perform for your celebration! Scramble James was punctual, warm and friendly. Best of all, he entertained our group of 5-year-olds. The show was fun and engaging and after he was done, the kids (and adults) got to spin plates and balance peacock feathers. It was a blast to watch everyone get involved! Thank you! I received so many compliments on the talented Scramble James from everyone at the party - including the venue staff! The kids loved it! (and the parents too) Would definitely recommend for any event and hope to book another event with him again soon. Scramble James is a talented performer, offering lots of variety and energy. He was great with our large group of kids as a whole and interacted well with them one on one also. He was flexible and accommodating to our needs. Very fun show for the kids and the adults to! Nate was friendly, easy to work with and the kids loved him! Thank you Marie for the great feedback! It was great to come to your party and I look forward to potentially working with you again! 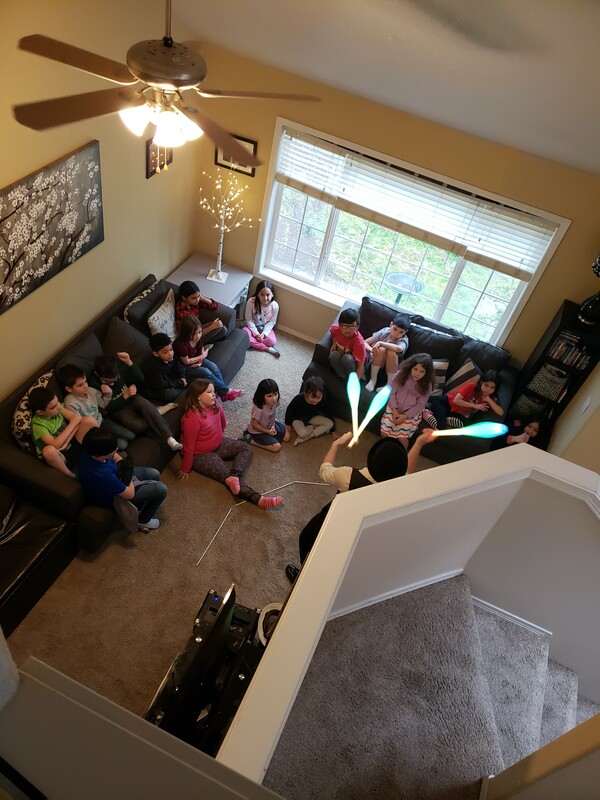 I hired him for my twins 6-year birthday party and afterwards heard so many positive remarks from the guests, kids and adults. He was polite, attentive, on time, kept communication lines open and available and listened to our requests. Most importantly, he is great at what he does. 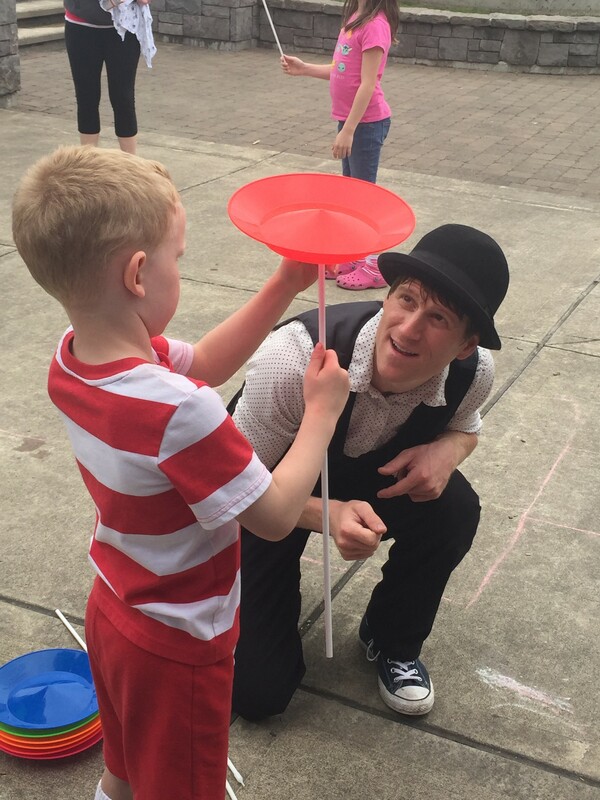 His juggling, magic, and upbeat and light-hearted candor was a treat for everyone involved. And after the show, he encouraged and helped everyone to try out some juggling tricks themselves. I'm really glad he was available and performed for us; it made the party extra special and memorable. The performer's did such a great job! Thank you Billie for being such a great host and for the great review! Looking forward to working together in the future! Scramble James was a great entertainer who engaged the kids throughout the entire show. He was very friendly and easy to work with. Will definitely be working with him in the future! Thank you Leanna, I had a blast performing for you all! 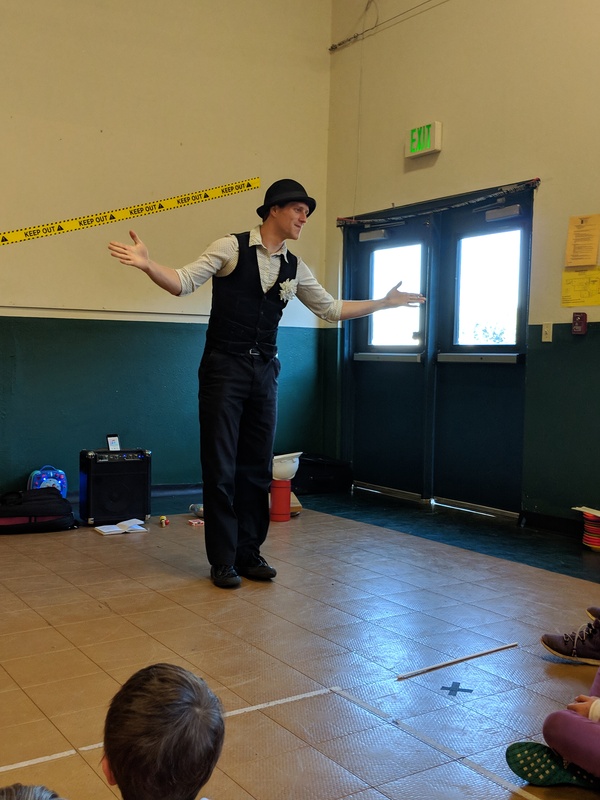 Looking forward to bringing more shows to your community in the future! And amazing to have James grabbing attention of a big crowd where 3 years old todlers, and those that are 9, equally enjoyed every minute of the show. Thank you Scrumble James for everything! Thank you Elvira for having me out at your event! I look forward to working with you in the future! Scramble James was an amazing act, I was very impressed at how well Scramble James adapted to the elements as it started to rain during his performance. He was great with the kids, and very friendly, he put on an amazing show! My favorite part was the interacting of teaching the kids how to do things, they all felt very special! Very satisfied and pleased with everything! We are looking into hiring him for some more events coming up this year for our family! Thank you Alex for being such a wonderful host and helping when the rain came! I look forward to working with you and your family again! He did a great job. We enjoyed having him as part of the party. One bit of constructive feedback would be the interaction with our residents. 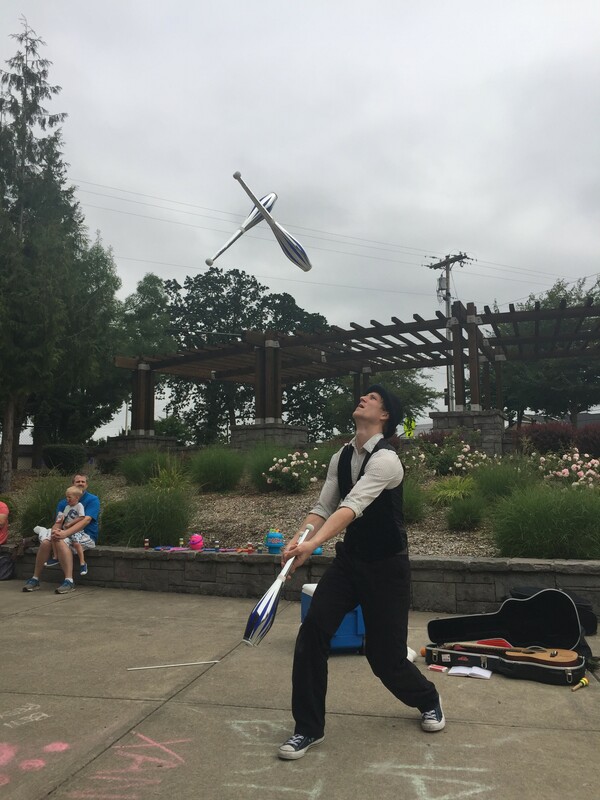 It was great that the residents wanted to chat, but it stopped him from juggling. That was the purpose of him being there. Thank you Katie for the positive review and the constructive feedback! I will be sure to juggle more on the next visit! 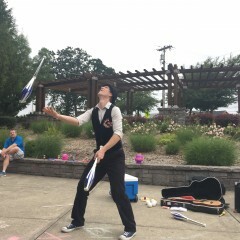 Scramble is an amazingly talented juggler I've had the pleasure to see at multiple events over the past few years. He never fails to impress and always makes the audience smile. A pleasure to work with! Very interactive with the children. Adults as well thoroughly enjoyed the evening, lots of positive feedback. I am so glad we chose to have Scramble James perform at my sons birthday party. He was very interactive with all of the kids and the adults loved him too! He had a nice variety of things he did for his show that kept everyone entertained. I would love to see him again in a bigger venue because I just know it would be so great! Scramble James did a fantastic job at my daughter's 4th birthday party. 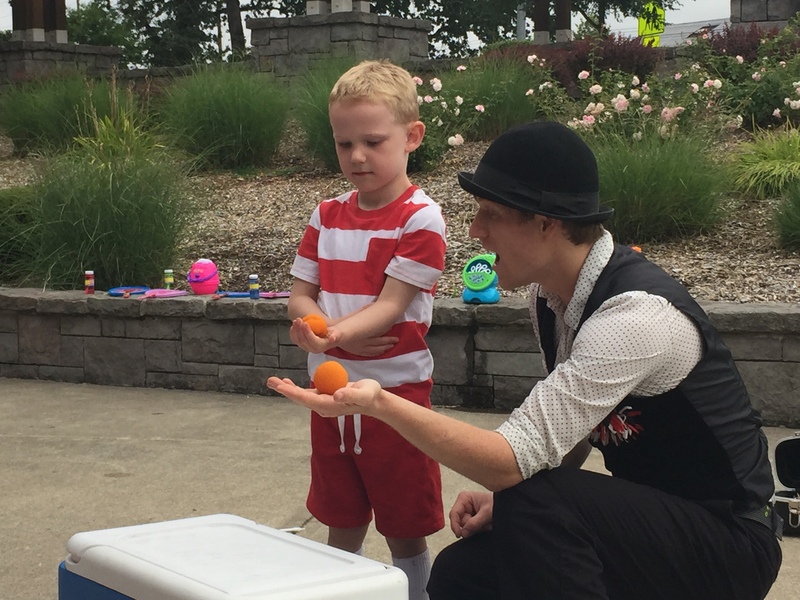 He entertained 15 kids ages 4-9 with juggling, magic, slide of hand tricks and card tricks. The kid and adults loved it. He was on time, communicated well with me throughout the booking process and was a true professional. A very nice guy as well. Everyone complimented me on my party and said how great Scramble James was. I highly recommend him for any type of event. Thank you, Scramble James! Thank you Amy, it was wonderful to come to your party and entertain your guests! Very accommodating and wonderful to work with! James did a great job interacting with our guests, having fun with them and performed well at the Back To School Bash our church put on for Ardenwald Elementary. Great social skills, easy to have conversations with and a great hire. I highly recommend. Great show that the kids loved! What a fun show! 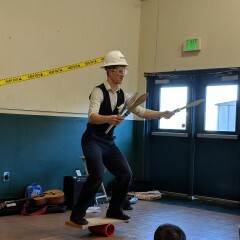 We hired Scramble James to entertain for our sons 4th birthday. He showed up on time and ready to go! 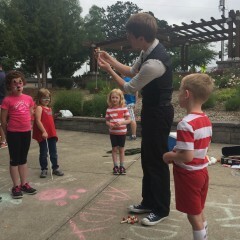 His show kept the kids engaged and entertained. 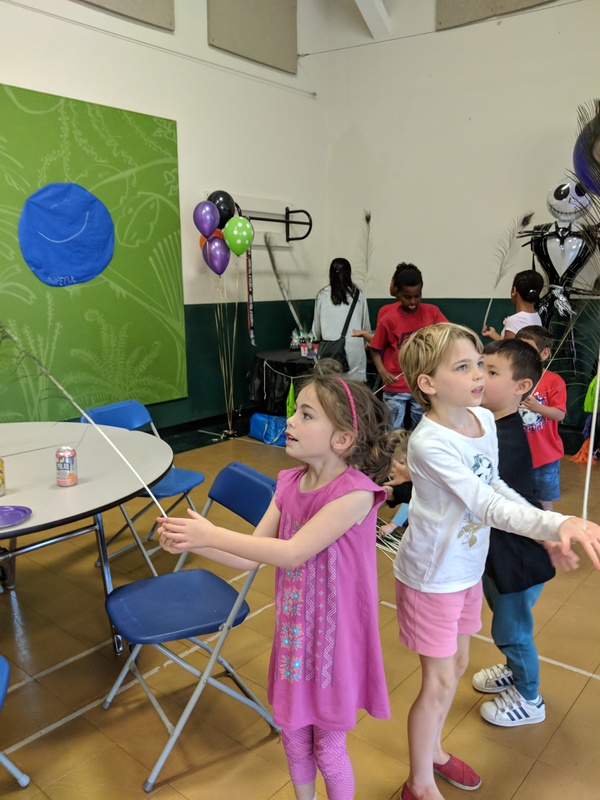 They sang, they watched magic, they juggled and balanced and laughed! My son was still singing one of the songs this morning. 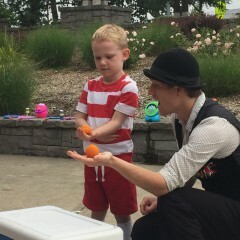 Juggling, Magic, Laughter, Amazement, Professionalism, Flexibility, Fire Performance, Glow Performance, Roaming Performance, Daytime Performance, Music, Balancing, Education, Audience Participation, and Uniqueness. 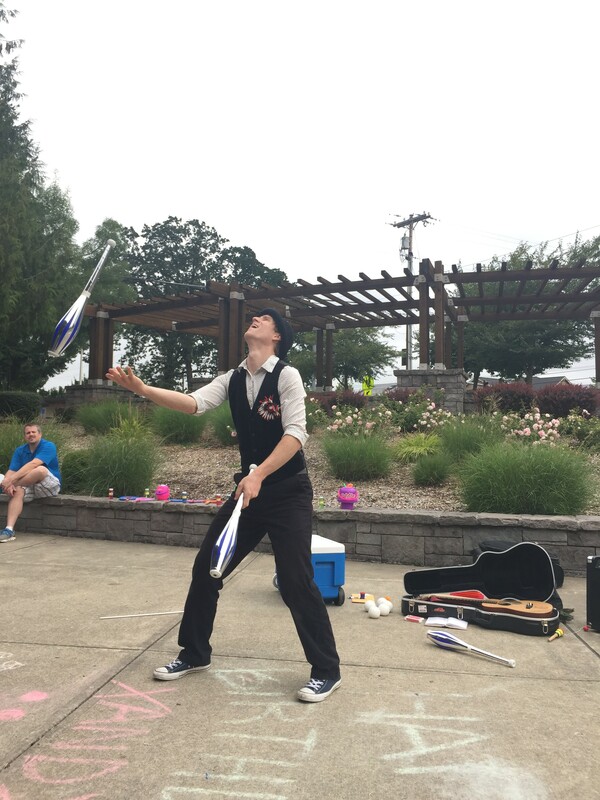 I started juggling in 2009 while I was attending Humboldt State University. Shortly after, I joined a group called the Humboldt Circus and was in my first circus show in the spring of 2010. A year later, in 2011, I traveled to Guatemala and worked in a Guatemalan circus for 6 weeks before returning to the United States. Shortly thereafter, I joined the New Old Time Chautauqua and toured through the state of Oregon (I have now toured with the N.O.T.C. on four occasions). That same summer I performed at the Oregon Country Fair with Humboldt Varietyville and was well on my way to creating a solo show. 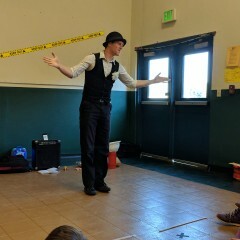 After graduating, I moved to the San Francisco area and worked at Houdini's Magic Shop, broadening my performance skills. One year later, in 2014, I moved to Portland, Oregon. Since moving to Portland, I have performed with multiple groups based out of the area, in addition to performing my own solo shows. In the winter of 2016, I returned to Guatemala and started the country's first Circus Arts Education Program at Los Patojos School in Jocotenango, Guatemala. The program is still alive and well today, and 250 kids receive daily circus arts classes as part of their curriculum. 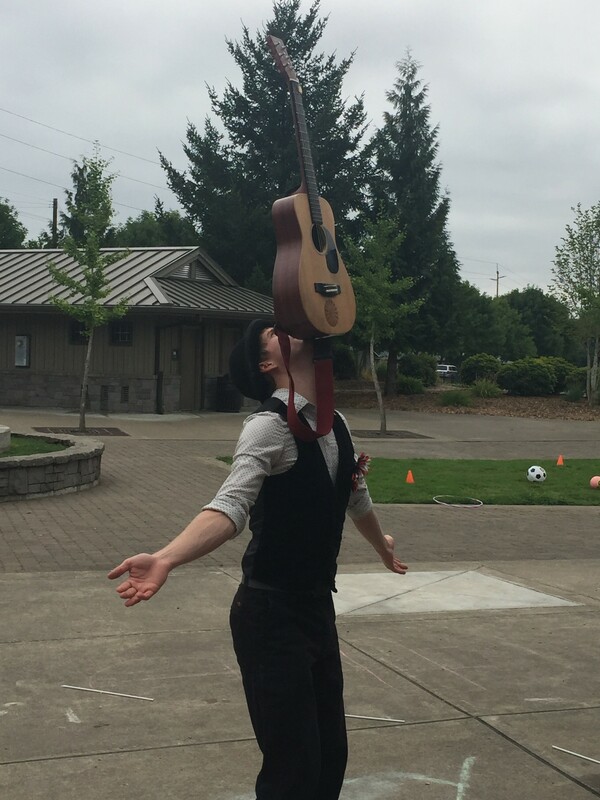 I returned to Portland in June of 2016 and picked up right where I left off, performing with multiple groups and teaching circus arts workshops. If performing glow or fire, it is better if it is dark. I have a wireless mic that will work with any PA system, however only need the mic for large audiences as I project my voice well. Generally, I can perform in almost any space, and require little to no set-up assistance.